Organized at Columbus, Vincennes, Terre Haute, New Albany and Indianapolis, Ind., December 30, 1863, to April 30, 1864. Left State for Nashville, Tenn., May 3, 1864; thence moved to Pulaski, Tenn., June 1. Attached to District of Northern Alabama, Dept. of the Cumberland, to November, 1864. 1st Brigade, 7th Division, Wilson's Cavalry Corps, Military Division Mississippi, to March, 1865. 2nd Brigade, Grierson's 1st Cavalry Division, Military Division West Mississippi, to May, 1865. 3rd Brigade, 1st Cavalry Division, Military Division West Mississippi, to June, 1865. District of Vicksburg, Miss., Dept. of Mississippi, to August, 1865. SERVICE.--Duty at Pulaski, Tenn., and Decatur, Ala., guarding Northern Alabama R. R. by detachments until November 26, 1864. Action at Elk River September 2. Sulphur Branch Trestle September 25. Richland Creek, near Pulaski, September 26. Repulse of Forest's attack on Pulaski September 26-27. Athens October 1-2. A Detachment at Decatur, Ala. Siege of Decatur October 26-29. 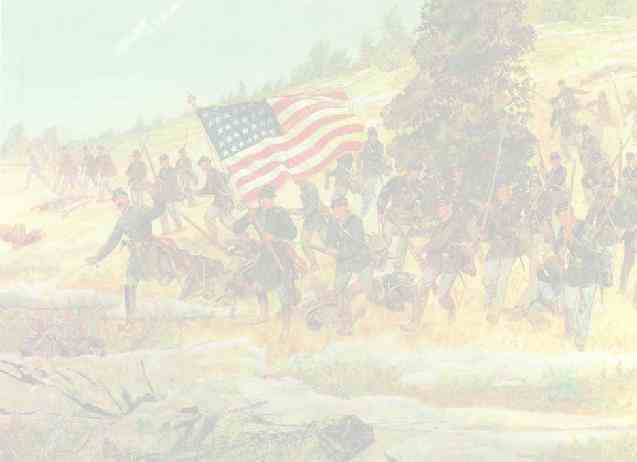 A Detachment moved to Murfreesboro, Tenn., and participated in the Siege of Murfreesboro December 5-17. "The Cedars" December 5-8. Murfreesboro December 13-14. Moved to Nashville, Tenn., November 26. Owen's Cross Roads December 1. Battle of Nashville, Tenn., December 15-16. Pursuit of Hood to the Tennessee River December 17-28. Franklin and Hollow Tree Gap December 17. Sugar Creek, Pulaski, December 25-26. Decatur, Ala., December 27-28 (Detachment). Pond Springs, Ala., December 29 (Detachment). Russellsville December 31 (Detachment). Detachments brought together February, 1865. Moved to Vicksburg, Miss. ; thence to New Orleans, La., and to Mobile Bay, Ala., February 12-March 22. Campaign against Mobile and its defenses March 22-April 12. Siege of Spanish Fort and Fort Blakely March 26-April 9. Capture of Mobile April 12. March to Montgomery April 13-20. March to Columbus and Vicksburg, Miss., and Provost duty in Holmes and Attalla Counties until August. Mustered out at Vicksburg, Miss., August 31, 1865. 3 Paroled Officers and 35 men lost on Steamer "Sultana" April 28, 1865. Regiment lost during service 1 Officer and 20 Enlisted men killed and mortally wounded and 4 Officers and 157 Enlisted men by disease. Total 182.